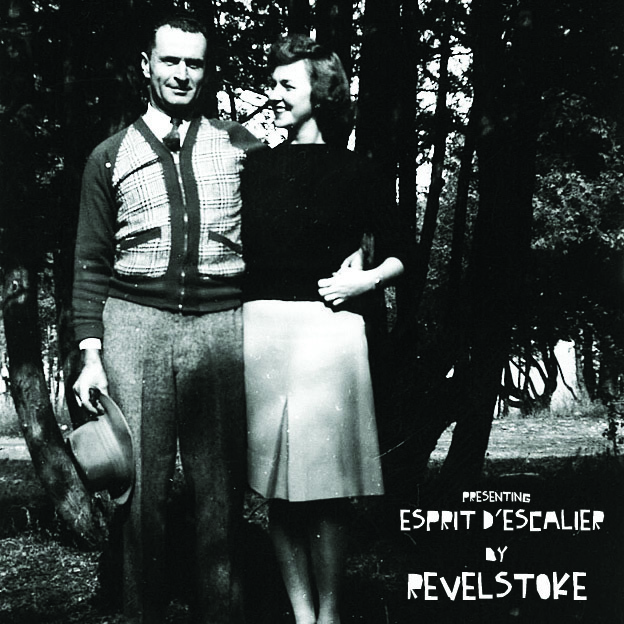 Revelstoke is the alias of Toronto folk musician Andrew Seale. On July 5th he'll be releasing his debut EP, Espirit d'Escalier. 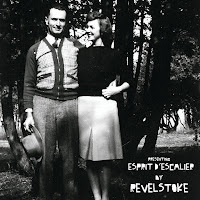 To say much of Espirit d'Escalier sounds like bedroom recordings and includes all of the cliches associated with that. A poor production hiss, acoustic guitars that wobble in the mix, vocals that are unintelligible. That all adds up to songs like "Roots That Curl Like Lips", "Song for Ania", and "We Stood Staring at Lights" that will cure insomnia. The mind-numbing dullness of the music makes it difficult to focus in on the lyrics (the muffled delivery doesn't help either). The spotlight does get shone on them with "In My Own Defense". The stronger presence of the banjo on that track forces Revelstoke to up the volume on his vocals, which is a good thing. There are some moments that will make you sit up and take notice however. The 'da da da da' refrain of "A Certain Artist's Judgement" will whisk you away before you even realize what's happening. Between the polka arrangement and the male/female trading of verses, "It Will Be Difficult Now" is refreshing. If Revelstoke can drop the crutch of folk music cliches, there is definitely something here to work with. Unfortunately, it's not showcased very well on Espirit d'Escalier. Best tracks: "A Certain Artist's Judgement", "It Will Be Difficult Now"